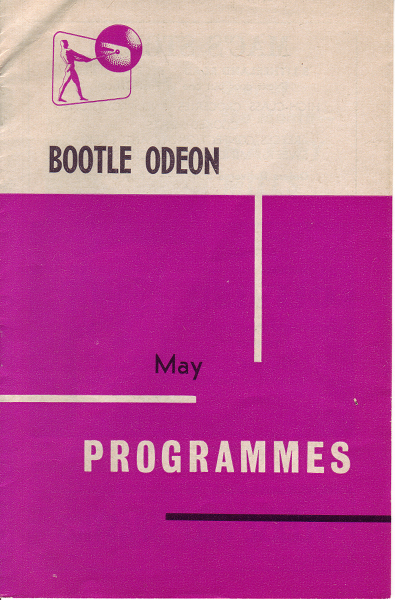 Cinema programme for the Bootle Odeon May 1963. The two ‘X’ rated films would no doubt be considered rather tame by todays cinemagoers! 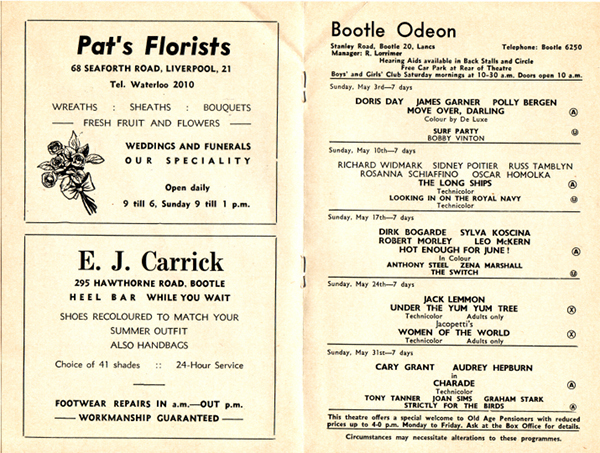 As well as adverising forthcoming and current film attractions, cinema programmes often promoted local business as well. Local firms would pay for advertising space which would assist in the cost of publication of the cinema programme. The adverts themselves are quite interesting pieces of social history. One of the adverts on the programme below is for a heel bar in Bootle, offering to change the colour of your shoes to match your summer outfit, this is a service unheard of today in our modern disposable consumer society.